Proud to share this Media Release connected to a year-long project curating this important project! 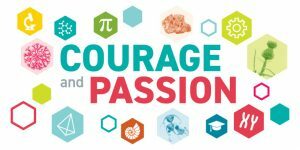 OTTAWA, July 26, 2018 – Meet inspirational women who have broken barriers to pursue their passion for science in a new exhibition developed by the Canadian Museum of Nature. Courage and Passion: Canadian Women in Natural Sciences reveals the contributions of innovative trailblazers in science from the 17th century right up to present times. It also addresses the social and gender barriers these women faced, with contemporary insights to inspire girls and young women with an interest in science.